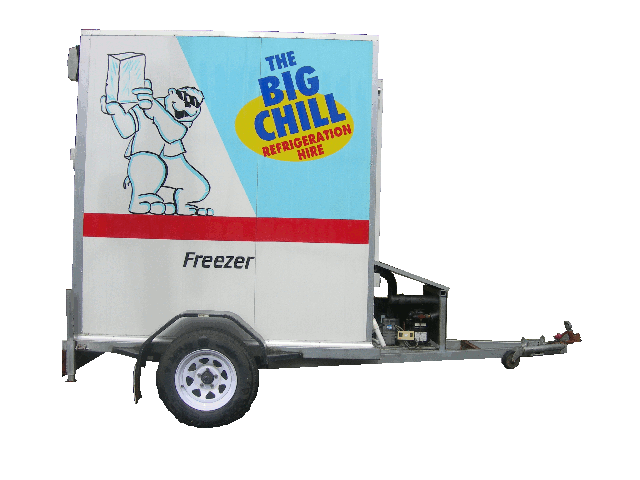 The Mobile Freezer for Hire is mounted on a single axle trailer and is easily towed behind a medium car. It’s suitable for bulk storage of ice for major events, frozen foods and pastries or ice-creams and gelatos. In fact anything that requires freezing. Hire a mobile freezer today!